5 Bedroom Detached House For Sale in Sheerness for Offers in excess of £750,000. A beautifully restored Listed Grade II house with Georgian facade and earlier interior. The house has a classic Georgian front but the building probably dates from the late 16th century or early 17th century. 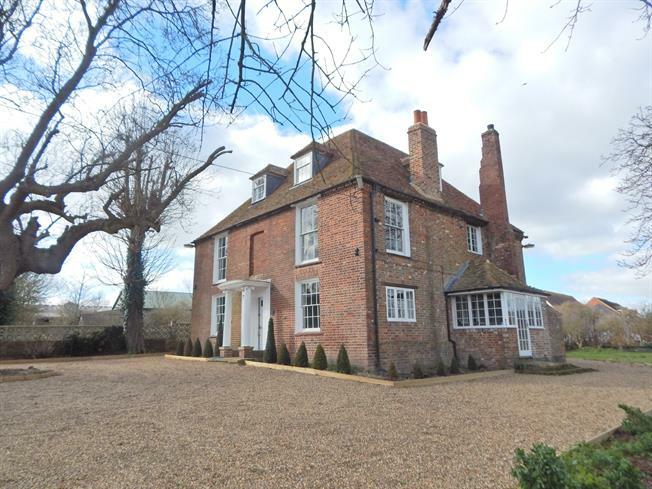 There are many wonderful features including early fireplaces with oak bressumer, master bedroom with marble tiled en suite, 29' kitchen/diner and just under half an acre of grounds.